Did you know that Barnstable MA is the largest community on Cape Cod? In addition to Barnstable itself, the Barnstable County is comprised of Cummaquid, Centerville, Craigville, Cotuit, Hyannis, Hyannis Port, Marstons Mills, Osterville and West Barnstable. Long known as a world famous tourist destination for its beaches, summer activities, restaurants, shops and lovely homes, Barnstable was originally known for its agricultural, fishing and salt works industries. Of course, many prominent Bostonians and celebrities make summer homes here including the Kennedy family who still own their beautiful compound in Hyannis Port. We are happy to welcome summer visitors here at Cape Cod Family Fishing Charters where we can offer a great day of fishing for your family or small group! 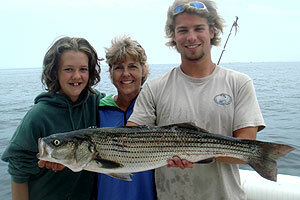 Cape Cod Family Fishing Charters is located in Barnstable Harbor at Barnstable Marine Services. 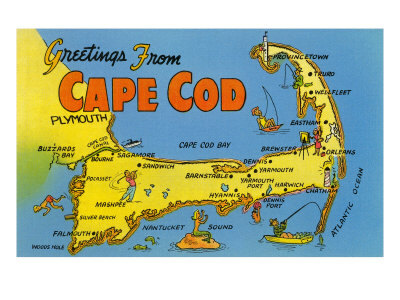 Come check us out and enjoy your time here on Cape Cod! There is bass, tuna, bluefish and cod for the catching! This entry was posted in barnstable ma, boat charters, cape cod ma, day trips, deep sea fishing and tagged barnstable ma, bass, day trip cape cod, deep sea fishing, family trip, fishing charters, tuna on June 27, 2013 by cape cod. Our fishing charts make for a great adventure for the kids when spending a day on Cape Cod. Fun in the sun and adventure all add up to a good time for a family outing! This entry was posted in barnstable ma, boat charters, cape cod ma, day trips, deep sea fishing and tagged bass, day trip cape cod, deep sea fishing, family fun, family trip, fishing charters, outing cape cod, stripers, tuna on June 27, 2013 by cape cod. We are really looking forward to the 2013 season. After a long, snowy winter, it will feel really good to get back out on the water for some deep sea fishing! We hope to see some returning friends and make some new ones! If you are on Cape Cod this summer and would enjoy a day of deep sea fishing, give us a call!!! Cape Cod Family Charters has several options available for your family or group outing. This entry was posted in barnstable ma, boat charters, cape cod ma, day trips, deep sea fishing and tagged bass, day trip cape cod, deep sea fishing, family trip, fishing charters, group function cape cod, stripers, tuna on April 27, 2013 by cape cod. Fishing charters available in Barnstable MA on Cape Cod. Tuna, Bass, Cod, and Bluefish are waiting. A great family vacation day trip or group outing! This entry was posted in barnstable ma, boat charters, cape cod ma, day trips, deep sea fishing and tagged bass, family fun, family trip, fishing charters, group function cape cod, outing cape cod, stripers, tuna on June 27, 2012 by cape cod. 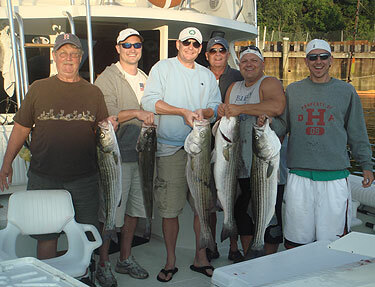 Cape Cod Family Fishing Charters caters to families, corporate outings and groups of friends who are looking for a fun day of fishing on Cape Cod, Massachusetts. You have your choice of Cape Cod sport fishing between the Escape (for parties up to 6) and the Elizabeth B (for parties of 3 or less). We are a fully registered company that offers hourly trips May through September. Tuna, Bass, Cod and Bluefish can all be found in these waters! This entry was posted in barnstable ma, boat charters, cape cod ma, day trips, deep sea fishing, Uncategorized and tagged barnstable ma, bass, cape cod, cod, day trip cape cod, deep sea fishing, family fun, family trip, fishing charters, group function cape cod, outing cape cod, stripers, tuna, tune on June 12, 2012 by cape cod.